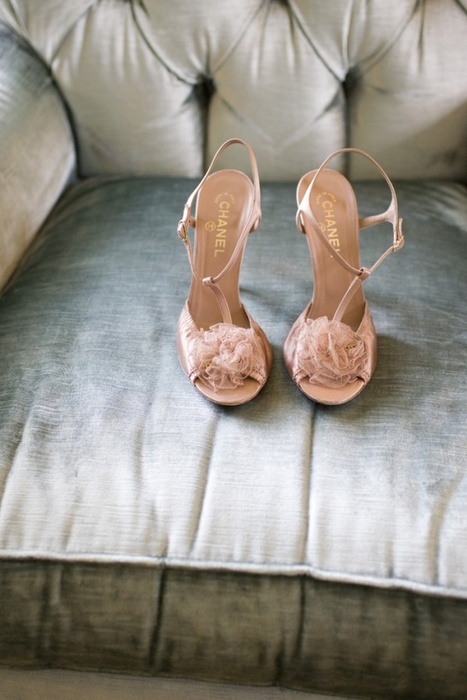 Tufted muted teal sofas and rosette pink Chanel heels. Perfect accents for your wedding day. Image via postcards and pretties. Oh Chanel!! No more words needed. gorgeous... want them... like... now!! Oh my, where can I get those shoes!? Whats the name of them? Michael C. Fina Diamond Dash!